A single mother should not have to worry about having enough funds to pay for e-tolls at the end of the month, on top of everything else. This was one of the arguments that the Opposition to Urban Tolling Alliance (Outa) put to parliament on Tuesday. Outa was presenting to parliament’s transport committee on alternative mechanisms for financing e-tolls, as well as concerns over collection methods. Outa chairman Wayne Duvenage said while they were not opposed to public and society paying for roads, the e-tolls were an irrational and unworkable scheme. “These are the roads that you and I take to get to work, to school, to get to places to worship daily. You earn money, you pay taxes and that is ploughed back to into providing the infrastructure including roads. That’s what you pay taxes for,” he said. He said people were already paying for roads through fuel levies. “You should not have a single mother at the end of the month worrying about whether she would be able to get to school to pick up her daughter and also worrying about whether she had enough money to pay for toll fees at that time of the month. That’s the concern here,” Duvenage argued. He also expressed opposition to the dispensations that were announced last year, and said they had so far not produced any results. He said threats of motorists not being able to renew licences unless they paid their e-tolls had not led to compliance, and instead led to public resistance. 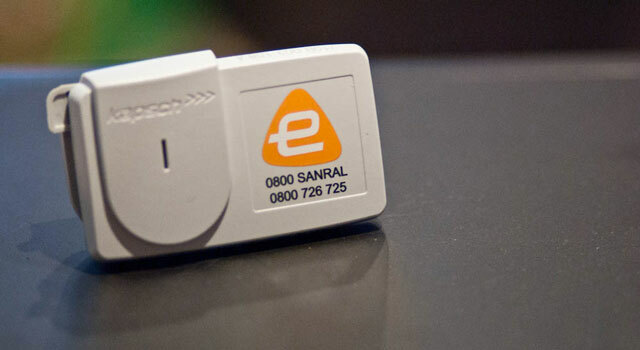 In May 2015, Deputy President Cyril Ramaphosa announced the new e-tolls dispensation. These included price reductions of up to 50% for all motorists, a halving of the monthly cap, a 60% discount on outstanding fees paid within a set time frame, and a monthly cap on the penalty for accounts in arrears. Duvenage said a user-pays scheme with a high percentage of users not paying was a serious concern for those paying. Some of the concerns he raised included the fact that the scheme was administratively burdensome and inefficient. He also raised what he called a lack of public participation.